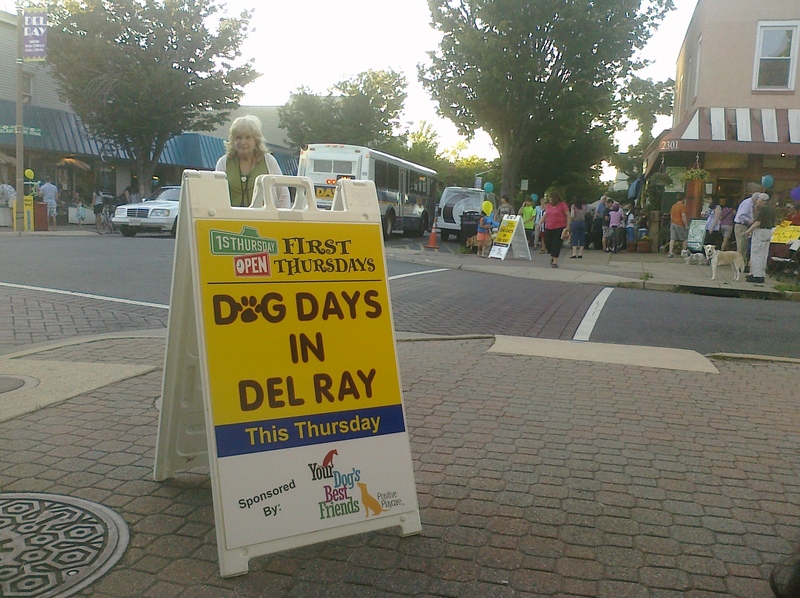 Hundreds of people and their pets came out to enjoy the cooler temperatures and stroll Mount Vernon Avenue during Del Ray’s First Thursday celebration June 2. 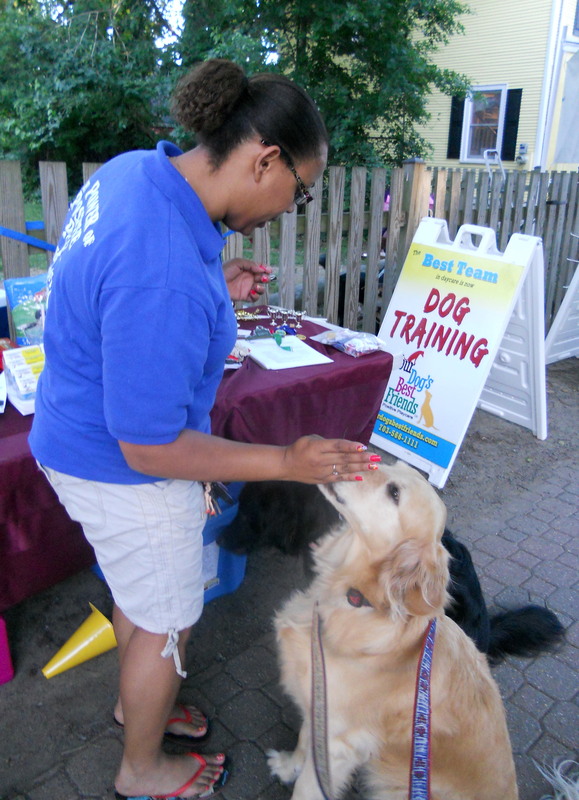 The night’s theme was ‘Dog Days of Summer.’ Most businesses set up tables on the sidewalk and gave away brochures, promotional pens, chair massages, candy and, most importantly for the event’s theme, dog biscuits. Dog World Rescue had a number of their rescue dogs that are available for adoption in front of St. Elmos Coffee Pub. Below is NCIS Gibbs, an adorable 14-week-old boxer mix with a sweet face and sweeter disposition. Find out more about Gibbs and the other dogs waiting for their forever families to find them on the Our Dogs page of the Dog World Rescue website. Pet safety was being promoted by a number of organizations. The Animal Welfare League of Alexandria gave away Pet Alert window cling stickers to alert fire fighters that pets in a home need to be rescued. Event sponsor Your Dog’s Best Friends, a daycare and boarding facility on Route 1 just north of Old Town, handed out information about their free Red Cross Pet First Aid class on the first Sunday of every month. The four-hour session teaches dog owners basic first aid for dogs. The Red Cross offers the class for around $60, so this is a great opportunity to learn valuable, and potentially life-saving, information for free. Sign up for a free class here. To learn more about the Red Cross Pet First Aid course, read my March 14, 2011 post, and be sure to read the reader comment about her experience taking the class.